Next up – Little Bennett XC! You’re Invited to Summer’s Best Evening 5K! LADIES! Register for the 2018 Run for Roses TODAY! Congrats to Memorial Day 4 Miler & Kids Run Finishers! The Memorial Day 4 Mile Race Invites you to WEAR BLUE! Register for the Germantown 5 Miler TODAY! Join us on Saturday & RUN AWARE! This Weekend’s Family-Friendly Double Header! GOOD LUCK Pike’s Peek Runners! Join us at the Capital for a Day 5K! Registration is OPEN for Run for Roses! Registration is OPEN for the Parks Half Marathon! Spin in the Woods on Easter Sunday! Register Today for the Spring Intro to Trails! Members, Again due to the weather, there will be no track availability tonight. Stay safe out there! 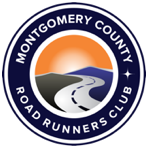 Members – Due to the deteriorating weather conditions, track is cancelled tonight at Montgomery College. Evening activities at the college are cancelled, as are evening activities for MCPS. If you are part of a training program, please defer to your program’s communication group for any additional details. Important News about Beginning Women Runners! Registration for the 2018 First Time Marathon Program is OPEN! Looking to complete your first marathon? How about your second, third, fourth or fortieth? Then the FTM Program is the right group for you! This is a structured, coached, group-oriented program for people training to run a marathon (26.2 miles). Please visit the program webpage for more information & join today! 2018 Pike’s Peek 10K Finishing at Pike & Rose! Seneca Greenway Trail Marathon & 50K CANCELLED!